In part, because of Indian and Northern Affairs Canada’s devolution process, the Webequie First Nation members made a decision to take over education for their First Nation so, on September 1st, 1994, the Chief and Council, by BCR #1994/95 -240-038, established Webequie First Nation Education Authority, consisting of seven (7) Board of Directors, its mandate being to take responsibility of education under the direction of the Chief and Council. 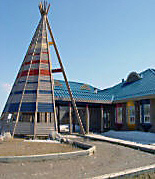 The Simon Jacob Memorial Education Centre is operated by the Webequie First Nation Education Authority. The facility accommodates students from K4 to grade 10. 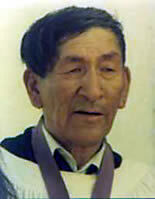 The school was named after the late Simon Jacob, a significant person in Webequie's history. A Chief and a catechist, he is well known for his involvement with the early development of Webequie First Nation. The Simon Jacob Memorial Education Centre has a combination of school levels that teach at the elementary, middle and secondary level. The school is designed to promote a sense of pride of heritage to the students. The school also operates on a culturally sensitive schedule which allows the students to participate in the spring and fall hunts. This adjusted schedule allows time for students to take leave with their families. This leave is considered an educational one which coincides with the cultural enrichment aspect of the school curriculum. Cultural enrichment allows a student to go out on the land to camp, hunt, or just be with his family without worring about missing time in the classroom. Visit the Webequie Education Authority Website.